Access to education is supposed to be a human right but this is not the case for most children based in rural areas in districts such as Mangochi, where learners cover over 10 kilometres (km) when going to school. Result? Some parents wait until their children are old enough, most often at eight, to enroll them in primary school. This development has seen many children, especially girls, dropping out of school while few courageous ones are still in class. This has seen adults, aged 18, still pursuing primary school education. What is wrong and who is to blame? YOHANE SYMON sheds light in this Friday Shaker. 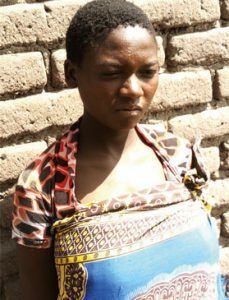 ENELLESS Chikusa of Mponda Village, Traditional Authority (T/A) Katuli, in Mangochi could not risk having her six-year-old boy travelling 14km to the nearest primary school at Mdinde in the district. Instead, Enellesi had her child, Yusuf Chikusa, waited until he turned eight years so that he could be ably covering the long distance to Mdinde Primary School. Yusuf endured the experience of sharing a standard one classroom with learners as young as five years. He could not stand it. Feeling embarrassed, Yusuf dropped out of school while in the second term. The mother was having none of it. She forced him back to school. But, after five years in school, Yusuf dropped out again. This time around while in standard three and aged 13. “We do not have schools in our area. The schools are located far away and it is difficult to send children there. I cannot risk my children covering long distances to school. It is risky,” said Enellesi, who has other children aged four, six and eight years. The rest of her children are yet to enroll in primary school. The absence of childhood development centres in Mponda, like many other rural areas in Malawi, compounds Enelless’s challenge of ensuring that her children go to school. Her situation is shared by many parents who are reluctant to send their children to school due to the time it takes them to get there. This is the case in rural schools in districts such as Mangochi, Balaka and Machinga. Indeed across the country. For instance, 18-year-old Kondwani Chikweya is in standard six at Nankhunda Primary School, T/A Liwonde, in Machinga. 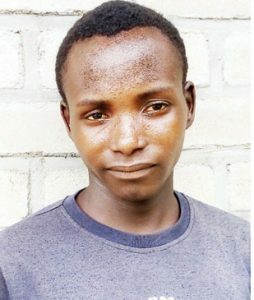 Kondwani said he started going to primary school while aged 10 because he could not manage to cover a long distance to school when he was young. “I started standard one when I was six years old. But after doing the first term, I could not go back because it was not easy walking. It was easy for our classmates who were travelling on bicycles but we did not have a bicycle,” he said. At 18, Kondwani is supposed to be finishing his secondary school education journey and embarking on the tertiary education. But Kondwani is, sadly, stuck in primary school. “I know that I am old enough to be in secondary school or even college. I am not alone in this situation. There are, actually, some learners who are older than me and are in lower classes. So, I am determined to continue with my education until I finish secondary school,” he said. At home, Kondwani has nobody to motivate him. His two sisters, after facing similar problems, dropped out of school after falling pregnant. They both dropped out of school while in standard four. His younger brother, aged seven years, is yet to enroll in school because he cannot travel to school by himself. With advocacy campaigns to send children to school, there is growing interest, among parents, in sending their children to school across the country. But the biggest challenge that prevents children from going to school is inadequate school infrastructure in most rural areas across the country. Among other challenges, this has left learners such as Kondwani delaying completion of primary school, further risking their chances of proceeding with education. On the other hand, girls have been the biggest victims. Most of them reach puberty while in lower primary school, a development that affects their concentration, eventually leading to school dropout due to factors such as pregnancy and early marriages. The issue of having over-aged learners in primary school also affects teachers’ execution of duties, as they have to manage children with different capabilities in the classroom. Nankhunda Primary School Head teacher, John Mjeliwa, said they have crash programmes aimed at accommodating over-aged children in classes so as to improve their chances of passing examinations. This is another burden on the teachers who are already struggling due to unbalanced teacher-to-pupil ratio. “The challenge is that most of these older learners do not concentrate on lessons compared to younger ones. As a result, we try to separate them, which is an additional workload for us. In some cases, we are forced to just be pushing them into upper classes to motivate them because we have cases where, when they fail final examinations, most of them drop out of school,” Mjeriwa said. Every academic year, Mjeriwa said between 15 to 20 learners, mostly girls, drop out of school. Most of the dropouts, according to Mjeliwa, are children who come from locations 10 to 15km from the school. Chiefs such as Liwonde, Chowe, Chimwala and Nankumba of Mangochi are equally concerned by the problem of absence of schools in their respective areas. “We are being advised every day to send children to school. But where are the schools? Where are the teachers to teach these children when they are at school,” T/A Nankumba said. Senior Chief Liwonde echoed Nankumba’s sentiments, asking the government to consider introducing a policy to increase the number of primary schools in areas that are not serviced by primary schools. “We are parents and understand when parents tell us that they are uncomfortable with the idea of sending their children to schools located far away. A lot has changed nowadays and nobody would want to risk his or her child covering long distances to school,” Liwonde said. With a population of 1.2 million people, Mangochi, for instance, has 289 primary schools. 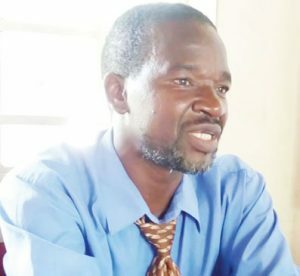 However, due to the district’s vastness, Mangochi District Education Manager (Dem), Joe Magombo, said the district requires 350 primary schools to reduce distances which children cover to get to school. “By policy, we need to have schools located five kilometres apart. But we have schools that are located 10 to 15 kilometres apart. It becomes hard for children to enrol in primary school at the recommended age of five to six,” he said. Magombo acknowledged that there are some children who fail to enrol in primary school, due to the distance between home and school. As a result, Magombo said there are scenarios where head teachers register children as old as 10 years in standard one, a development that negatively affects their chances of completing education. “Most of these learners eventually drop out of school in the second or third term. For instance, our district registered a seven percent dropout rate in the last academic year. Most of these children are those who are unable to cover long distances to school on daily basis,” he said. He also acknowledged the need to increase the number of primary schools in most rural areas as a way of promoting access to quality education, as advanced by the government under the Sustainable Development Goals. Non-governmental organisation, RIPPLE Africa, on www.rippleafrica.org quotes United Nations Educational, Scientific and Cultural Organisation as indicating that Malawi has 4.5 million learners in primary and secondary schools. The report further says, of these pupils, 3.7 million (83 percent) are enrolled in primary schools. In Malawi, 11 percent of children of official primary school ages are out of school, with poorer children most likely to fall into this category. Based on educational attainment of 15 to 24-year olds in 2010, five percent received no education at all, 57 percent failed to complete primary school, 11 percent studied until the end of primary school, 19 percent attended secondary school but failed to complete their secondary education, seven percent completed secondary education and one percent studied beyond secondary level. Education, Science and Technology Ministry spokesperson, Lindiwe Chide, said the ministry appreciates that some areas require construction of primary schools to reduce the distance between schools. However, Chide said it was the responsibility of communities and Dem office to identify areas that need school infrastructure. Chide said the ministry discourages communities from constructing schools on their own due to issues such as poor quality. “Initially, communities were being allowed to construct schools in their areas. Now, the ministry has become tough due to what happened in Zomba, where a classroom wall collapsed on learners and killed learners. So, now we are demanding that we be involved in the construction and monitoring of schools to ensure quality and durability of the finished product,” she said. Apart from some partners, Chide said the government was constructing primary schools under the Public Infrastructure Programme to address the shortage of school infrastructure in most rural areas. “So, the procedure is that, if the community wants a school, it must write the Dem explaining the reasons it wants a school. Then the Dem assesses the area before construction begins. After that, the district council can construct the school if funds are available. But when there is no money at the council, the ministry constructs a school through the Public Infrastructure Programme,” she said. She further appealed to partners in the sector to collaborate with the ministry to address the problem of shortage of schools in areas not serviced by primary schools, adding that the government was prioritising the provision of accessible and quality education for all.